2.) We are SO CLOSE to being able to make these Ch1Con-related announcements. We’ll hopefully have them up tomorrow. Pinky swear! 3.) This week’s Wordy Wednesday is a song I wrote about Ally Carter’s upcoming novel All Fall Down (GoodReads link). 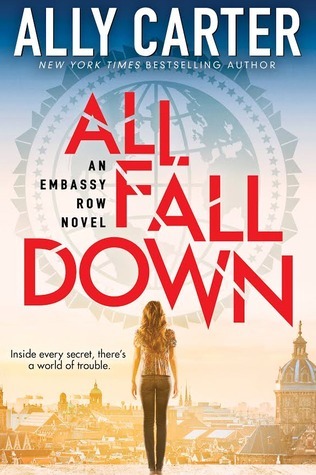 Of course, I haven’t READ All Fall Down yet, because it doesn’t come out until January. (SO FAR AWAY.) But I love all of Ally’s other novels, and the plot blurb sounds amazing, per usual, so I got really excited one day and wrote a song. Tell me, are you trying to break me?